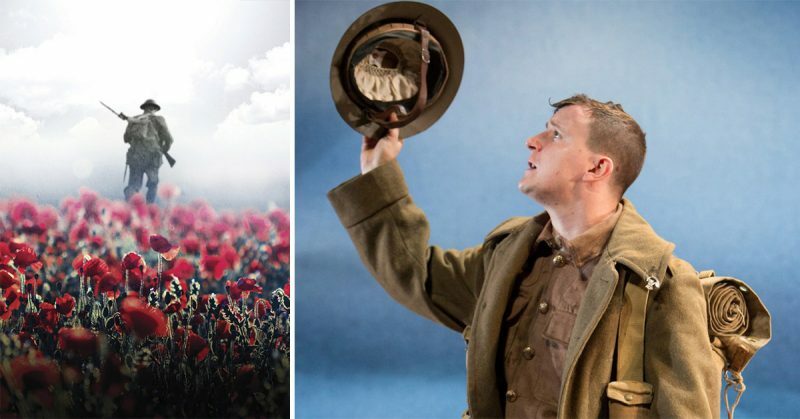 Following a highly successful run at the Edinburgh Fringe, Michael Morpurgo’s Private Peaceful embarks on an exciting West End run and UK Tour. 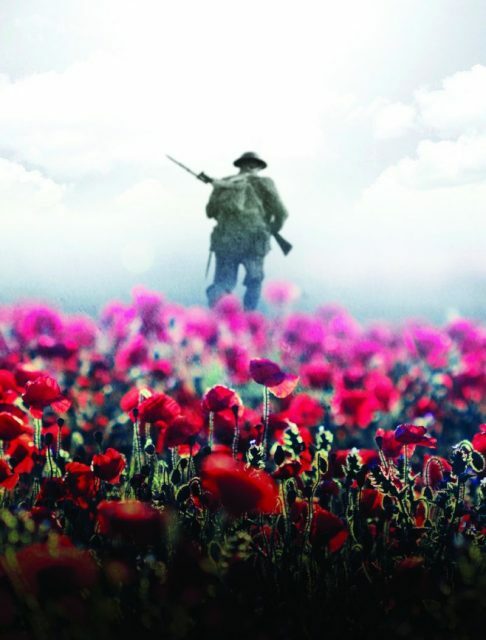 Commemorating the 100th year anniversary of the end of World War I, Scamp Theatre’s award-winning production is full of vivid detail and dramatic narrative, superbly brought to life by Andy Daniel. Directed by Simon Reade, Private Peaceful relives the life of Private Tommo Peaceful, a young soldier awaiting the firing squad at dawn. During the night he looks back at his short but joyful past growing up in rural Devon – his exciting first days at school, the accident in the forest that killed his father, his adventures with Molly the love of his life, and the battles and injustices of war that brought him to the front line. Former Children’s Laureate Michael Morpurgo’s inspiration came from a visit to a museum in Ypres where he was shocked to discover that 306 young soldiers were court-martialed and shot for cowardice during the First World War – two of them simply for falling asleep at their posts. In 2006, the British Government finally granted posthumous pardons to those shot at dawn for cowardice or desertion. Private Peaceful seeks to honour these men and their families. 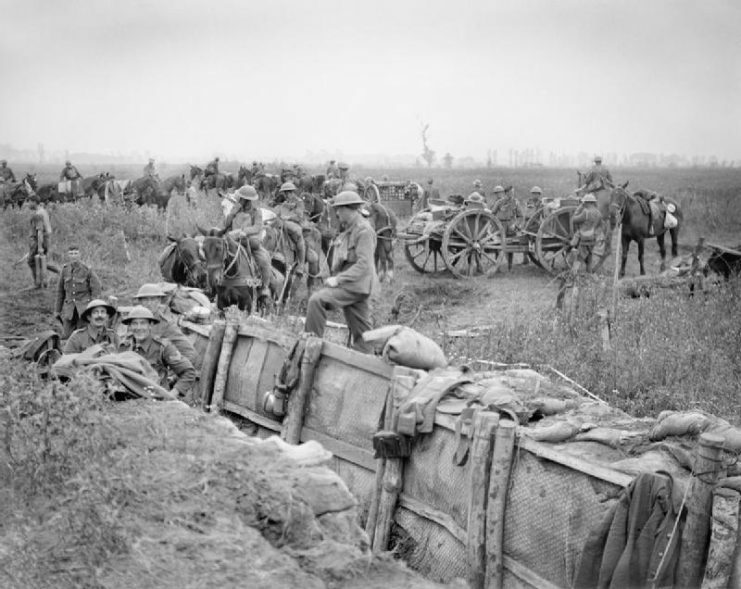 The third battle of Ypres: The Battle of Pilckem Ridge . Private Peaceful is both a compelling love story and a deeply moving account of a soldier’s life in World War I.
Michael Morpurgo comments, Private Peaceful at the theatre is a moving experience that not only tells the story of a young soldier’s final day in World War One, but perhaps more importantly conveys the strength of human spirit. Andy Daniel comments, It is such a privilege to be coming back to perform in Private Peaceful. Tommo is such a joyful character and playing him again feels like saying hello to an old, dear friend.The piece itself is incredibly special and it is so important that we continue finding ways to educate and enlighten the younger generation about the horrors and hardships of WW1, something I think this show definitely does. Having said that, it is also a great piece for adults and I really think it is both relevant and engaging for audiences of all ages. 1. 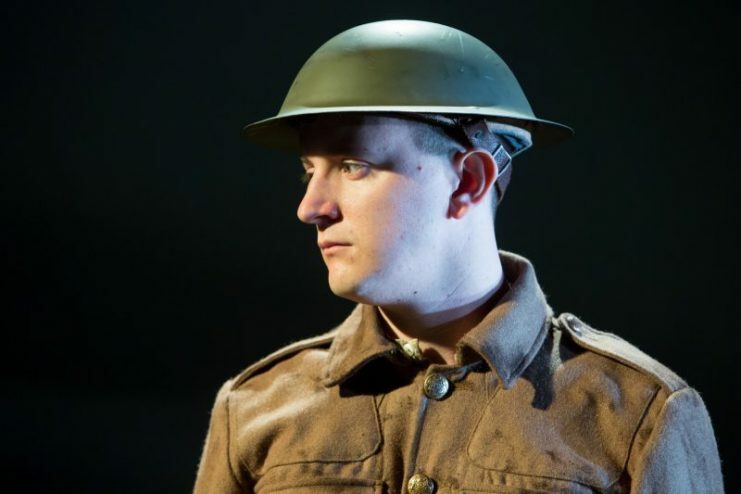 You’re staring in Private Peaceful, can you tell us a bit more about what the show is about? Private Peaceful is an adaptation of the novel by Michael Morpurgo. It is told from the perspective of Tommo Peaceful, an underage British soldier, as he waits to face the firing squad at dawn. Tommo is desperate not to waste the time he has left to him and relives his whole life with the audience, remembering his childhood in Devon with his best friend and brother Charlie and the love of his life Molly and of course going off to war. 2. What draws you back to this character which you’re reprising? Well first of all the play is such a wonderfully constructed piece of theatre and it really does affect people a great deal. So, it really is an honour to be asked to do it again! Tommo is just such a kind and fun character to play and you really do get to create a warm, strong bond with audience throughout the show, which is really special. 3. 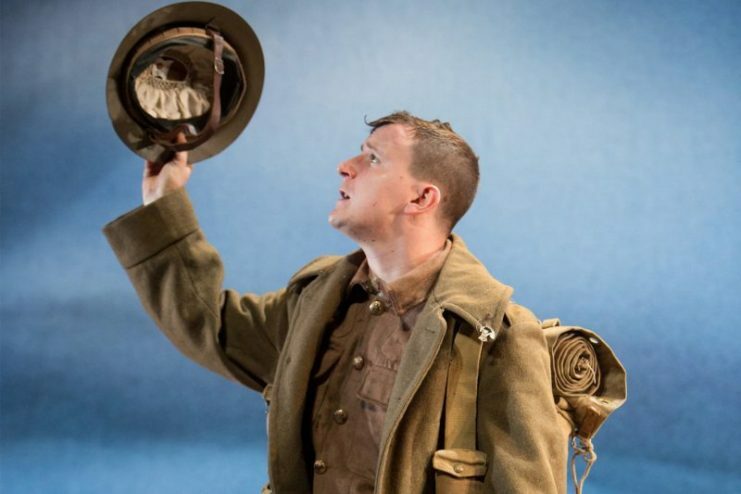 This play runs in conjunction with the commemoration of World War One, why do you believe it’s important to keep stories like Private Peaceful alive? Well it is of course important to remember and honour those who fought in WW1 and to keep their memories alive. It was such a brutal and destructive conflict and we shouldn’t forget that we are fortunate to have avoided a conflict on a similar scale for the last 70 odd years. However, what makes Private Peaceful particularly important is that it highlights a part of the war that until very recently was forgotten or ignored; the execution of soldiers for cowardice. We shot 306 of our own soldiers in WW1, some of whom were clearly suffering from shell shock/PTSD, and the plight of young boys like Tommo should not be forgotten. 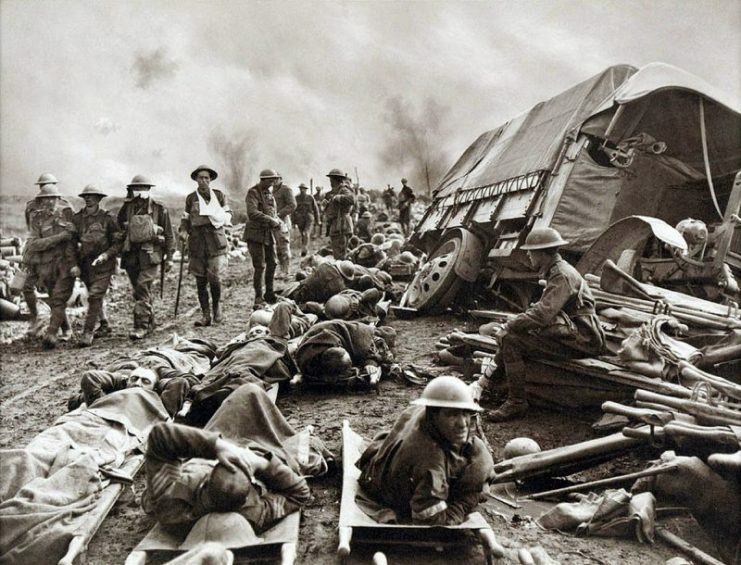 Wounded men at the side of a road after the Battle of Menin Road, 1917. 4. You’ve just finished a run at Edinburgh Festival, how did the audience react to the production? The Festival went fantastically well and both the audience and critics reaction to the piece was amazing. It was such a wonderful experience to be back there performing the piece; I felt very lucky! 5. What did you most enjoy about performing at Edinburgh Festival? The atmosphere. Everyone is so supportive of each other during the festival and there really is a great camaraderie between the companies performing. 6. You’ve worked with Scamp Theatre production before, what’s the best thing about working with this exciting theatre company? Scamp are a wonderful company to work for. They focus on producing high-quality theatre for young people and their goal is to never patronise children in their productions. Something that I think is really important! 7. What do you enjoy most about touring? Seeing the country! It’s lovely to go to some places you may not otherwise visit. I particularly love discovering some of the older style, beautiful theatres that are dotted around the country. Places like Brighton Theatre Royal or Bury St Edmunds Theatre Royal are just wonderful venues to perform in and really feel quite magical. 8. What do you hope the audience will take away from the show? I hope that in some way it makes people think about those who tragically lost their lives or their loved ones in that war a hundred years ago. But having said that, I hope they will enjoy the storytelling first and foremost! It is a piece of entertainment and, while the message of the piece is really important, I want everyone to have a good time and enjoy spending an hour or so with Tommo, who really is a sweet and rather funny person!